Hosting a party with children or teens? Pregnant? Or have religious restrictions? 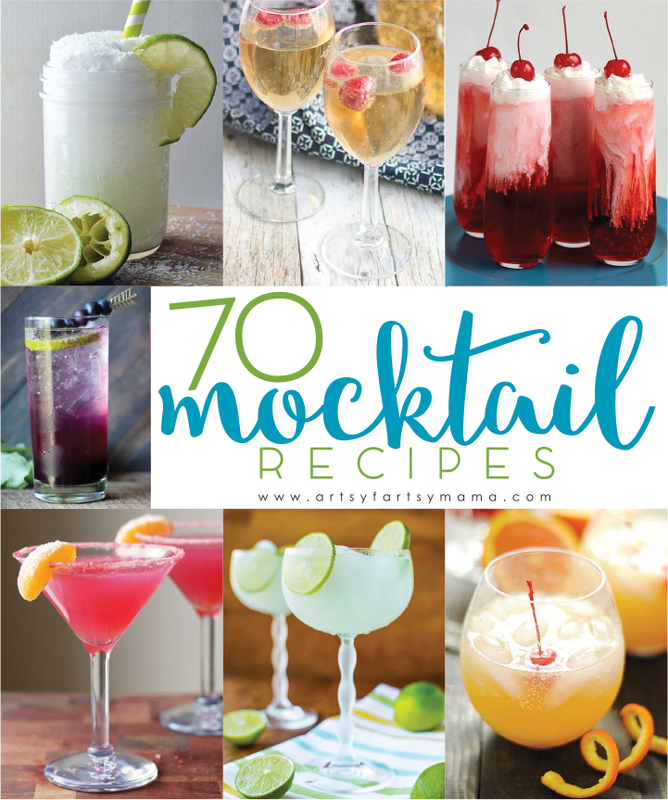 These 70 non-alcoholic mocktail recipes are sure to quench your thirst and are something everyone of any age can drink! While they can be mixed up anytime of year, I think they would be a delicious addition to any New Year's Eve bash! 30. Sour Berry Fizz from Kleinworth & Co.
58. 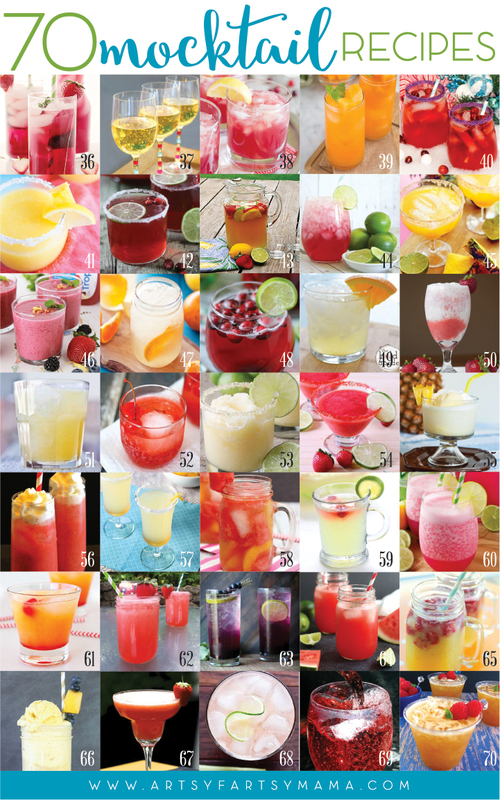 Watermelon Peach Spritzer from What's Cooking, Love? 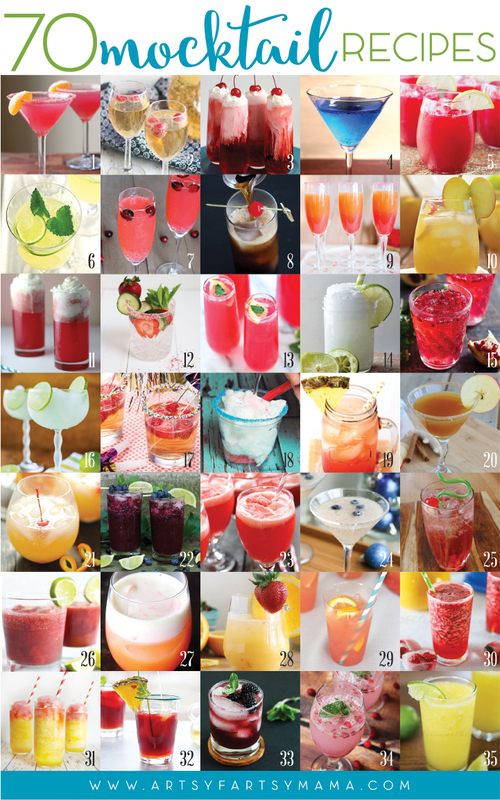 Which mocktail recipe is one you'd like to try? These are right up my alley! They look so delicious! Nice selections! !